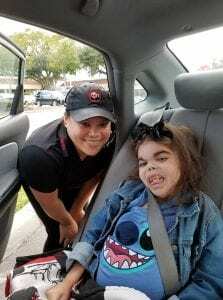 Panda Express wrapped up a successful 2018, having raised a total of $57,961 for Children’s Miracle Network Hospitals at UF Health Shands Children’s Hospital. 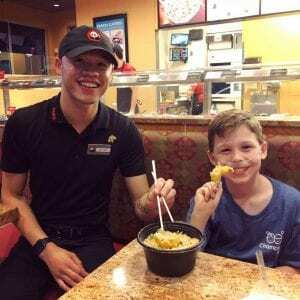 A total of 12 Panda Express locations from South Florida to South Georgia raised an average of $4,830 per location, making Panda Express one of UF Health Shands Children’s Hospital’s top Children’s Miracle Network partners in 2018. Panda Express has a year-round fundraising program that encourages guests to join in supporting the health and education needs of underserved youth in their local communities. Nationally, Panda Express guests and associates at more than 2,100 locations raised $21.5 million for CMN Hospitals, bringing the total contributions to 131 network hospitals to $59 million since 2007. In addition to their year-round fundraising program, nearly $2,000 of Panda Express’ 2018 total contribution to UF Health Shands Children’s Hospital came directly from Panda Express associates through their employee giving campaign. The 2018 donation from Panda Express makes the company the fastest growing Children’s Miracle Network Partner, both in percentage of increase and dollar increase in giving year over year. At UF Health Shands Children’s Hospital alone, Panda Express’ contributions have increased more than 1000% over the last 5 years, with a monetary increase of more than $50,000 from 2014 to now. Panda Express continues their fundraising efforts into 2019 with their annual Lunar New Year celebration. Stop by any Panda Express to place a donation to Children’s Miracle Network in a red envelope, in traditional Lunar New Year style! We thank Panda Express for their continued dedication to our cause and look forward to the miracles they will make in the coming year!